How does the soul first appear in this world? 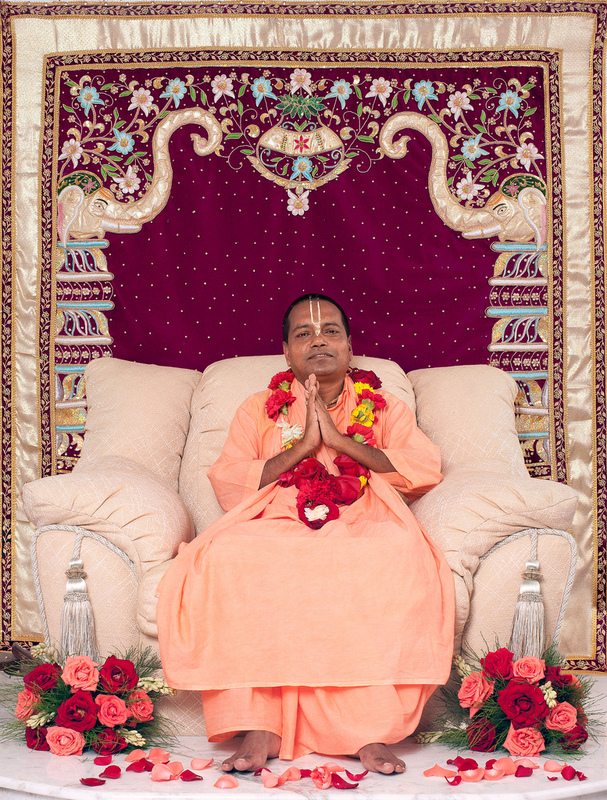 From what stage of spiritual existence does he fall into the material world?” This is a broad question, which requires some background information. There are two classes of souls, jivas, who come into this world. 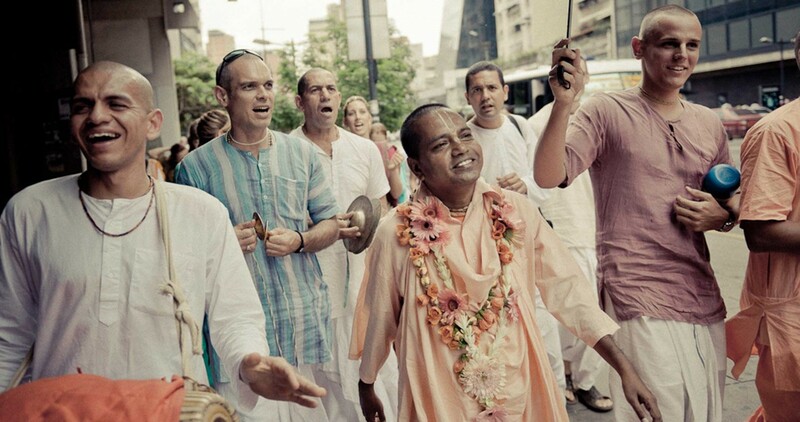 One class comes from the spiritual Vaikuntha planets by the necessity of nitya-lila, the eternal pastimes of Krsna. Another comes by constitutional necessity. The brahmajyoti, the non-differentiated marginal plane, is the source of infinite jiva souls, atomic spiritual particles of non-differentiated character. The rays of the Lord’s transcendental body are known as the brahmajyoti, and a pencil of a ray of the brahmajyoti is the jiva. The jiva soul is an atom in that effulgence, and the brahmajyoti is a product of an infinite number of jiva atoms. Generally, souls emanate from the brahmajyoti which is living and growing. Within the brahmajyoti, their equilibrium is somehow disturbed and movement begins. From non-differentiation, differentiation begins. From a plain sheet of uniform consciousness, individual conscious units grow. And because the jiva is conscious it is endowed with free will. So, from the marginal position they choose either the side of exploitation or the side of dedication. Krsna bhuli sei jiva anadi bahirmukha. Anadi means that which has no beginning. When we enter the land of exploitation, we come within the factor of time, space, and thought. And when we come to exploit, action and reaction begins in the negative land of loan. Although we strive to become masters, really we become losers. Goloka and Vaikuntha servitors are also seen to be within the jurisdiction of the brahmanda, the material universe, but that is only a play, lila. They come from that higher plane only to take part in the Lord’s pastimes and then return. The fallen souls come from the marginal position within the brahmajyoti and not from Vaikuntha. The first position of a soul in the material world will be like that of Brahma the creator. Then his karma may take him to the body of a beast like a tiger where he is surrounded with a tiger’s mentality, or to the body of a tree or creeper, where different impressions may surround him. In this way, one is involved in action and reaction. The case is complex; to analyze the details of the history of a particular atom is unnecessary. We are concerned with the general thing: how the transformation of the material conception springs from pure consciousness. At first, sympathy and apathy develop in a crude form, just as when a sprout springs up with two leaves. And gradually these two things help us to dive deep into this mundane world. Upon retiring from the world of exploitation, the soul may return to his former position in the brahmajyoti as spirit. But, if the soul has gathered the tendency of dedication through his previous devotional activities, he does not stop there; he pierces through the brahmajyoti and goes towards Vaikuntha. The responsibility is with the soul, otherwise, the Lord would be responsible for his distressed condition. But Krsna says that the soul’s innate free will is responsible for his entanglement in the material world. The soul is conscious, and consciousness means endowed with freedom. Because the soul is atomic, his free will is imperfect and vulnerable. The result of that free choice is that some are coming into the material world, and some are going to the spiritual world. So, the responsibility is with the individual soul. Once, an Indian political leader, Syamasundara Chakravarti, asked our spiritual master, Srila Bhaktisiddhanta Saraswati Thakura Prabhupada, “Why has the Lord granted such freedom to the jiva ?” Prabhupada told him, “”You are fighting for freedom. Don’t you know the value of freedom? Devoid of freedom, the soul is only matter.” Freedom offers us the alternative to do right or wrong. Once, Gandhi told the British authorities, “”We want freedom.”‘ They replied, “You are not fit to have self-government. When you are fit, we shall give it to you.” But finally, he told them, “We want the freedom to do wrong.” So, freedom does not guarantee only acting in the right way; freedom has its value independent of right and wrong. 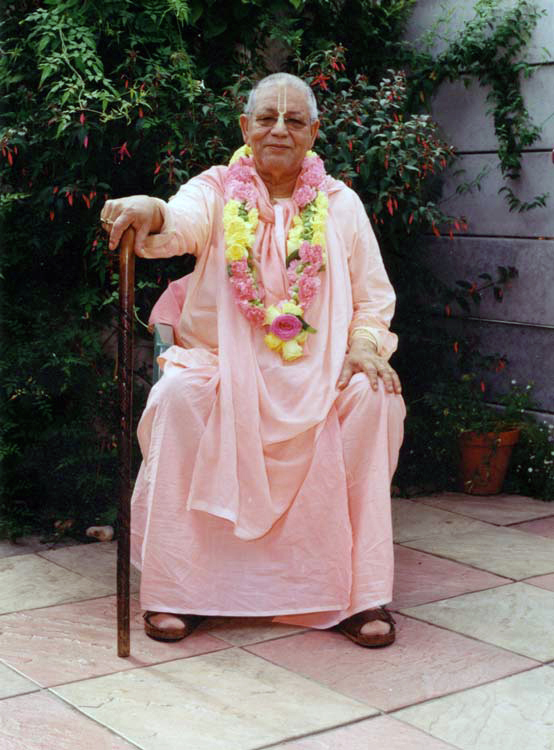 Disappearance of Sripad Krishnadas Babaji Maharaj. Disappearance of Srila Abhiram Thakur. Krishna Dashami. Disappearance of Srila Vrindavan Das Thakur. Krishna Ekadashi. Varuthini Ekadashi. Fast. Disappearance of Sriyukta Saurindranath Bhakti Varidhi Prabhu. Krishna Dvadashi. Paran between 05:40 and 10:32. Amavasya. Appearance of Srila Gadadhar Pandit Goswami. Gaura Pratipad. Appearance of Tridandi Swami Srimad Bhakti Aloka Paramahamsa Maharaj. Gaura Dvitiya. Appearance of Tridandi Swami Srimad Bhakti Vichar Jajavar Maharaj. Gaura Tritiya. Beginning of 21 days Chandan Yatra of Sri Sri Jagannathdev. Aksaya Tritiya: a good day to start some works. Gaura Panchami. 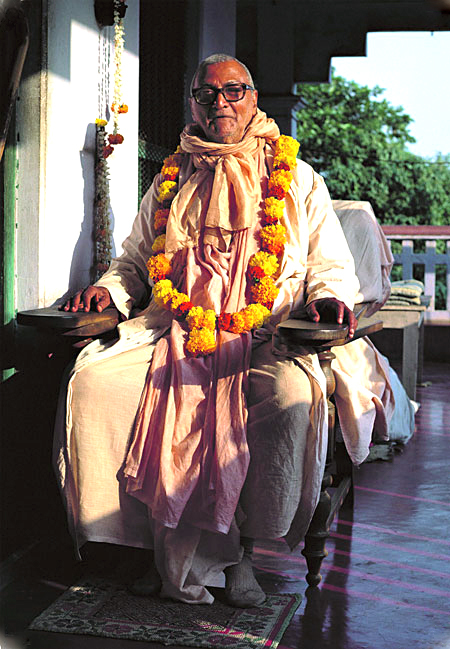 Disappearance of Tridandi Swami Srimad Bhakti Vilas Gabhastinemi Maharaj. Appearance of Sripad Shankar Acharya.